You will struggle to get anyone more qualified for the job than Nicky. Born and bred in Middleham, Nicky is the granddaughter of the legendary trainer Sam Hall who had a string of big success when training in the village, renowned for his magic touch in big handicaps, including the Ebor at York, a race he won three times in he 1970's! During University Nicky would spend her holidays riding out for Mark Johnston in the village and this link progressed, where she now works as Senior Racing Secretary. 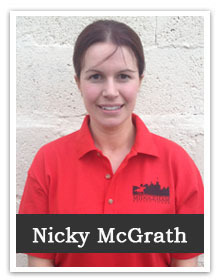 Nicky's best skill is her pleasant nature, this combined with her knowledge of the racing folk puts her in an ideal place to be part of our team. Leanne is a fully qualified chartered certified accountant, brought up in west Yorkshire, her passion for horses was apparent from a young age, riding ponies from the age of seven. Frequent trips to local race meetings soon ignited her love of horseracing, eventually getting her first opportunity to work with racehorses when riding out on weekends and school holidays for George Moore, here in Middleham. 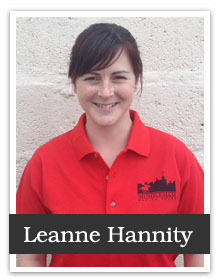 Leanne has also ridden as an amateur jockey on the flat, having a handful of rides, including a winner at Hamilton Park. Now married to ex jump jockey and RUK presenter Niall Hannity, who is also often seen riding out in the village before heading to the races in the afternoon, Leanne spends her time looking after their young daughter, and riding her own ex racehorse as well as reschooling and rehoming numerous others racehorses that fail to make the grade. Accountant, she may be, by trade but very much horses at heart! 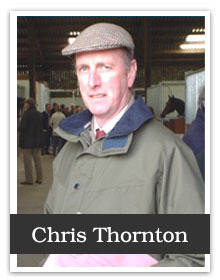 As far as a tour guide for Middleham goes, they don't come more qualified than Chris Thornton. Chris trained just short of 700 winners when based in Middleham, both Flat and jumps before retiring in October 2010. He also served as chairman of the Middleham Trainers' Association for 14 years and is a former National Trainers' Federation council member.